Are you tired of having to buy a new PC every few years? That PC you purchased a few months ago running slow and sluggish? Ready to stop paying people to repair or maintenance your computer? If the answer is yes, then I just may have the remedy for your computer problems. Have you heard of System Mechanic? 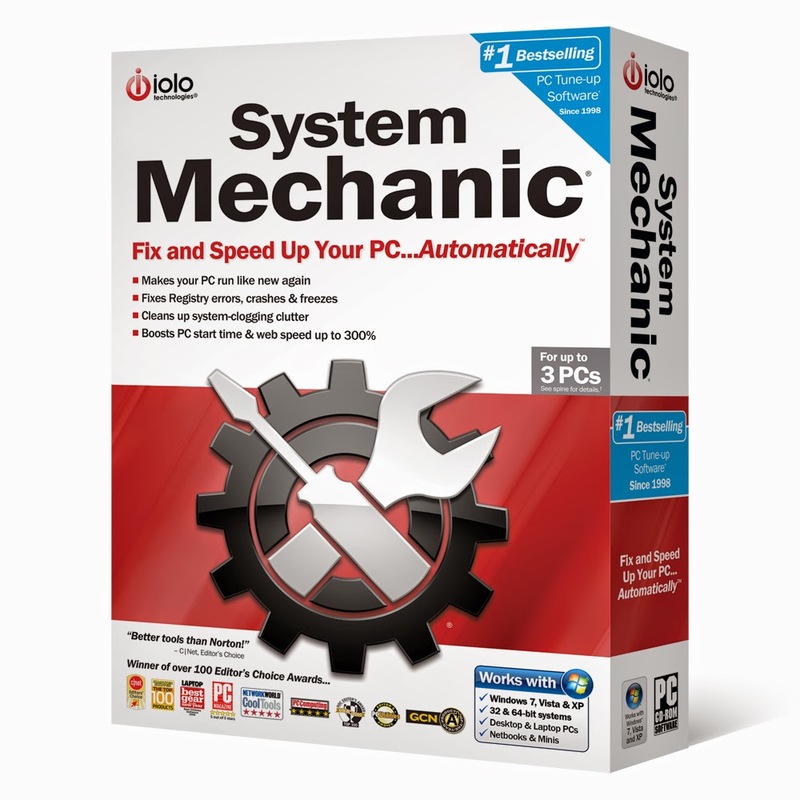 It’s a program from Iolo technologies created with the purpose to optimize your PC and give it a longer life. It practically revives your PC and makes it the way it was the first time you used it. I purchased a new PC about 3 years ago and when my PC’s health started to fail after a month, I quickly installed System Mechanic. 3 years later it’s still running smoothly as the day I first turned it on. 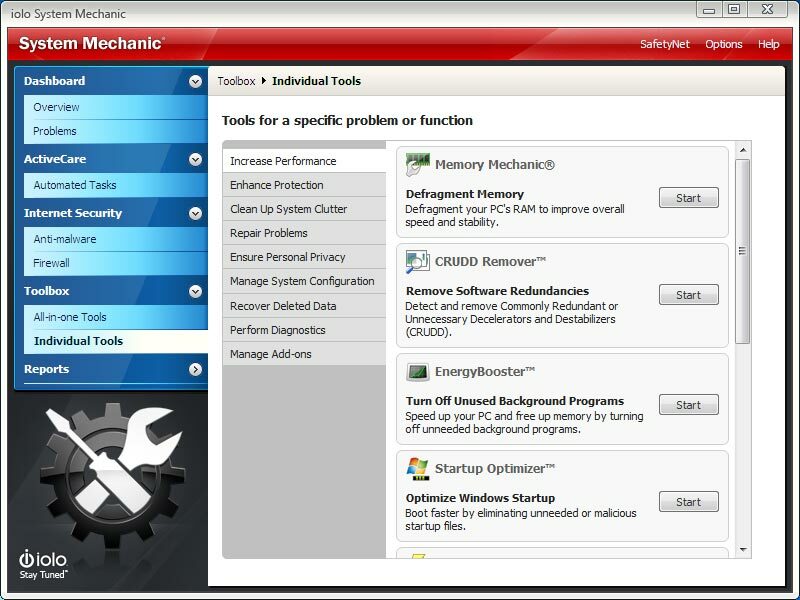 System mechanic repairs your registry, accelerates start up, recovers memory leaks, boosts internet speed, defragments the hard drive, and puts a stop to the tedious processes that bog down the CPU. I know that may seem like a lot for the non-tech savvy individual, but the coolest part about this program is that anyone can use it. It does all of this stuff automatically. My favorite feature within System Mechanic is Memory Mechanic. Memory mechanic frees up all that fragmented ram used up by programs and stops memory leaks to allow you to run programs faster and smoother just as they do when you first turn on the PC. I run memory mechanic a few times a day. System Mechanic receives high praise and rewards for a reason, it really does work the way it’s advertised. It was the editor’s choice of PC Mag and CNET. I’ve spent years using system mechanic and I’ve been using the latest version these past few months and it is without a doubt “Terry McFly Approved“. Without System mechanic, this desktop PC would’ve been replaced and collecting dust months ago. 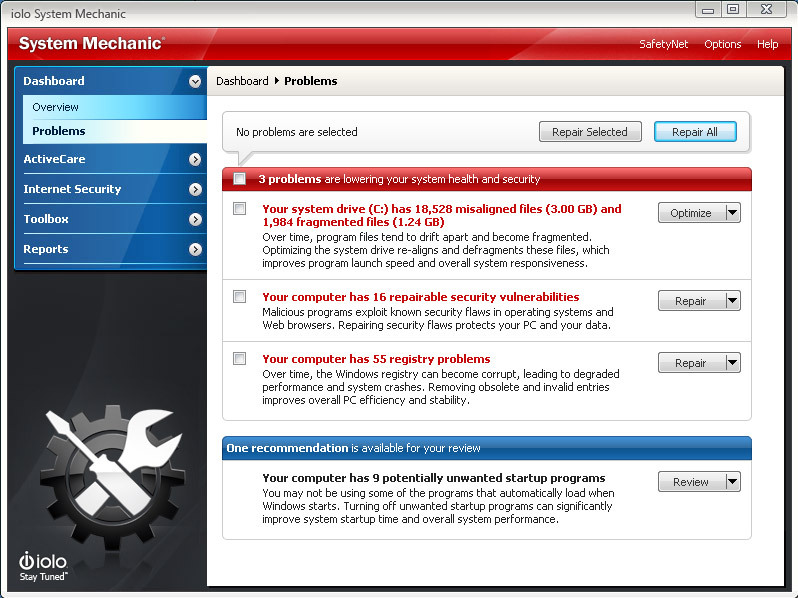 If you own a PC or laptop, I would recommend you do yourself a favor and install system mechanic. The team at iolo has also provided me with a few download codes to give to a few lucky readers. Stayed tuned for details about the giveaway on Twitter & Instagram.